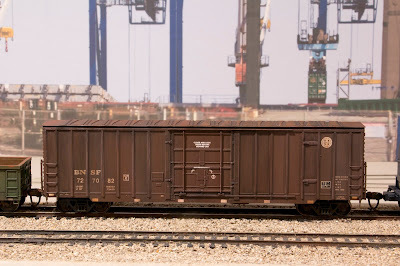 One of the things I miss in modeling the ACW era is building and weathering freight cars and other painted steel objects. The PoLA layout gives me the opportunity to do some of that work, which I find very enjoyable. Here are some photos of the first 5 cars I weathered for the PoLA layout. I use prototype photos to guide my efforts. In particular the Soo Line car had graffiti and I tried to copy it. 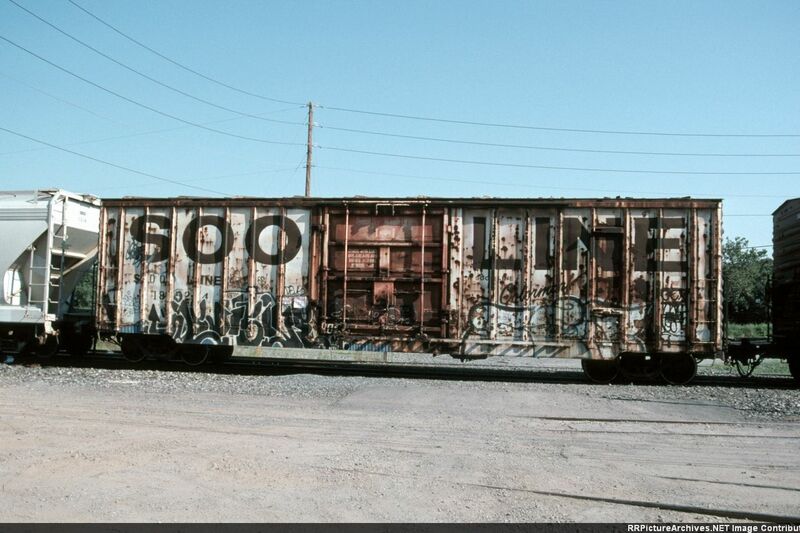 Yes, graffiti is the bane of railroads. As much as I hate to look at it when rail fanning or riding the Metro, it is a fact of life. You need some graffiti to make a realistic looking modern layout. 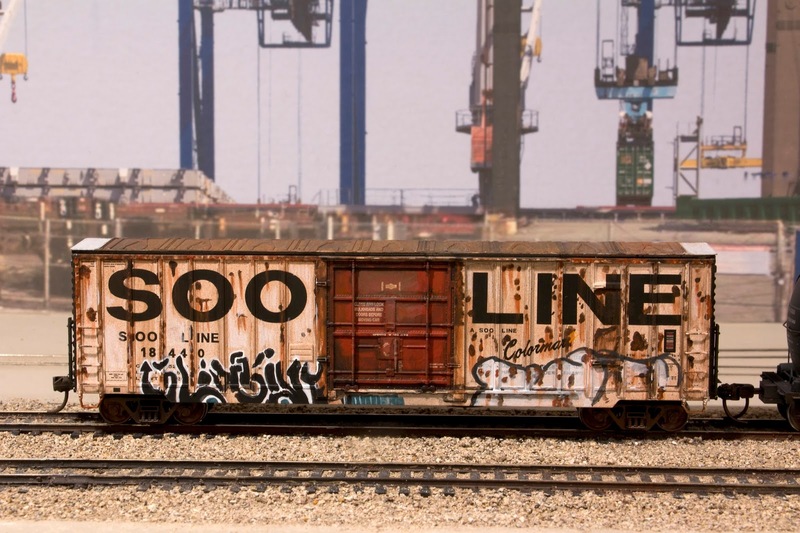 I did find it ironic that the graffiti on the right side of the Soo Line car itself had weathered. It was a fun to try to capture that. I painted the graffiti with a small brush and acrylic paint using the photo as a guide. I have no idea what the graffiti is supposed to represent. BTW graffiti has existed for a long time. Soldiers from American Civil War to as far back as Roman republic left graffiti. photo as a guide for this side of the car. Kent and Ben getting a lay of the land to plan their shots. Kent Johnson and Ben Lake from Model Railroader Video Plus visited the the USMRR Aquia Line today. They are in town this week to shoot some local Capital-area layouts. 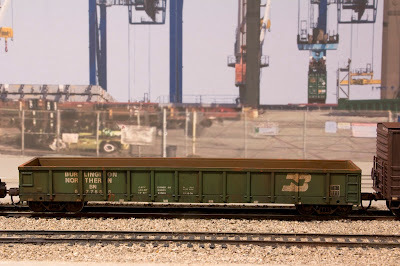 They spent the good part of the day shooting video of the USMRR Aquia Line and PoLA layouts. The finished video will be used in a layout tour feature on the Model Railroader Video Plus website. 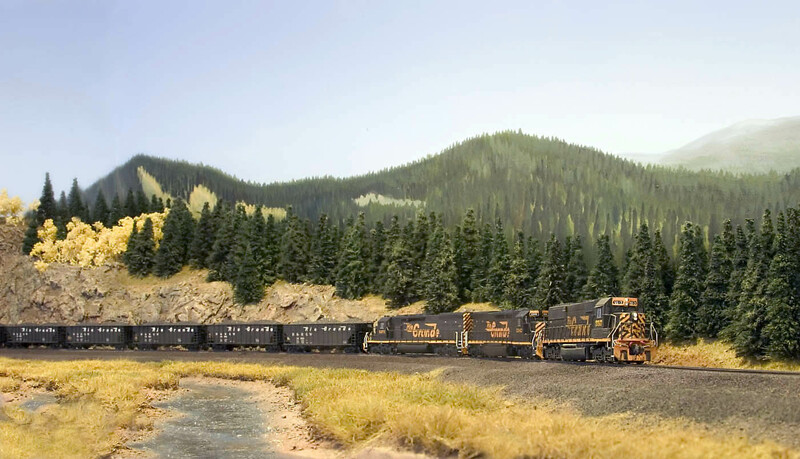 Model Railroader Video Plus is a subscription based service that features dozens of model railroad videos ranging from how-tos to layout tours. I believe this was the first civil war era layout they visited. It was a lot of fun, but a lot of work too. We shot a variety of trains running up and down the line. We even did a short how-to video on converting figures to the Civil War period. Meanwhile, Kent shoots some B-roll footage. The layout ran very well. The engine Whiton did yeoman's work. Its battery held up all day. Engine McCallum also got in a workout. Engine Fury makes a brief appearance on the turntable at Falmouth. Yes, BG General Haupt did make an appearance to do the intro. In addition to the normal video, they shot a time lapse of the whole video process. At one point you'll see Ben sitting on the floor wrestling with my Manfrotto tripod ball head. For some off reason, it decided to permanently attach itself to Ben's handy cam. We did eventually get them separated by taking the ball head apart and the camera base plate off. 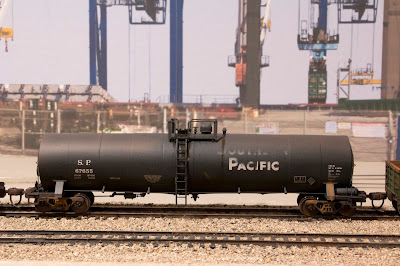 Near the end of the day we took some video of a BNSF freight working on PoLA layout as a work in progress. better than it fits me. tripod ball head. We did eventually get it apart. And yes, we learned that driving a manual transmission with the parking brake on is a no go. An historic document, the first switch list for PoLA layout next to the Borax silos. Paul and Todd bringing the train onto Fries Ave.
Paul Dolkos and his son Todd stopped by today. The actual purpose was to do some graphic work for decals for Paul, but Todd had some containers he wanted to contribute to PoLA. Since the graphic work needed was very minor, I put them to work doing an op session on PoLA. I made up a quick switch list on a scrap of paper. Paul and Todd then worked for about an hour making pulls and set outs on the layout They used the set of Fox Valley GP60M & GP60B. Todd was happy to be switching some of the DODX cars. Both men thought that the layout was fun to operate. Paul made a comment to the effect that, "why would someone build a huge double deck layout that never gets done, when this is all you need." AW helps sand the lettering off the tubes. Acetone also helped. Earlier in the week I cut the silos for the Borax factory. I was planning on using the Walthers Medussa cement for the silos, but the kit did not have enough silos. So I bought 12 feet of 2 inch PVC pipe and cut 16 silos on my chop saw. I set up a jig on the saw so that each tube was the same length. Then I laser cut the roof panels to precisely fit the tubes. The roof panel helped keep the tubes aligned and vertical as the glue dried. I also had finished putting the paving sheets on the layout. I was in the process of painting and patching seams on the paving when Paul and Todd arrived. After they left I started ballasting the areas that are not paved. I used sifted dirt from Utah. It seems to have the right color and texture. 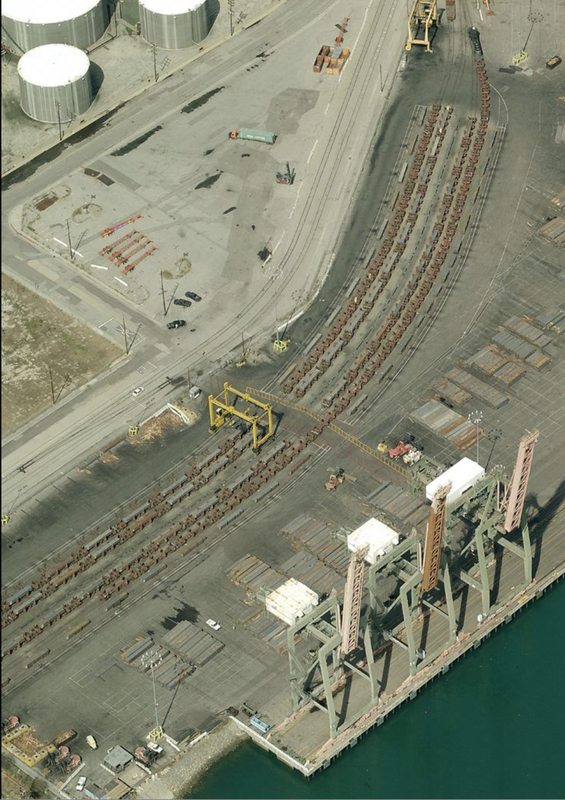 Paving operations continue on PoLA. Over the weekend I completed about 75 percent of the planned paved area. Just one more area to go. Whew, there is a lot of pavement on this layout! The paved areas need some tuning to make sure the trains run without interference. But so far so good. 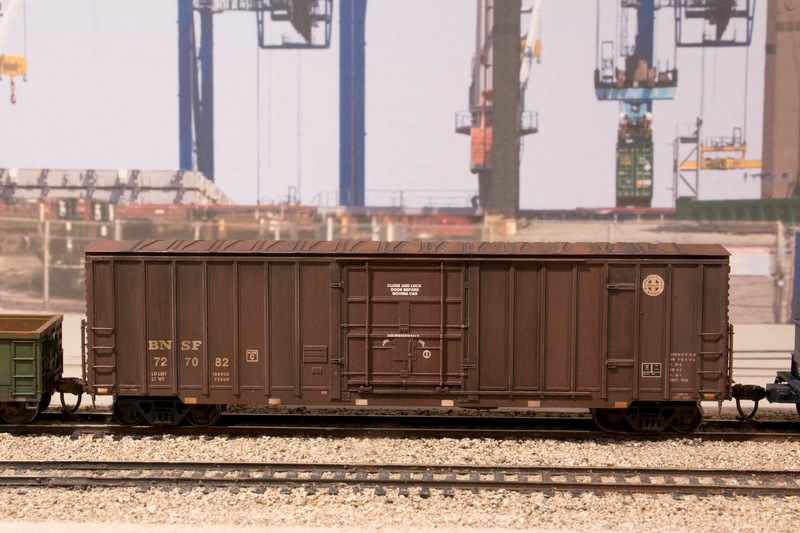 I also received a shipment of Walthers kits. I immediately got the storage tanks and Medussa Cement kits out to mock up. 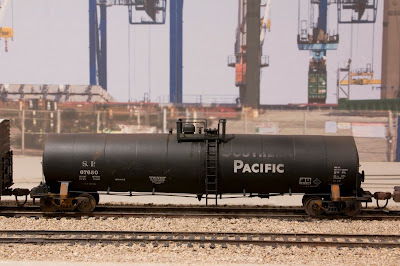 The Walthers tall storage tank kits are beautiful kits, but were too wide to fit in the planned location. So I moved them to the background and cut some 4-inch PVC pipe for the foreground tanks. I also relocated the petro-products loading track so that the 4-inch tanks are between the loading track and the "main" track. This does a much better job of screening the hole to staging. 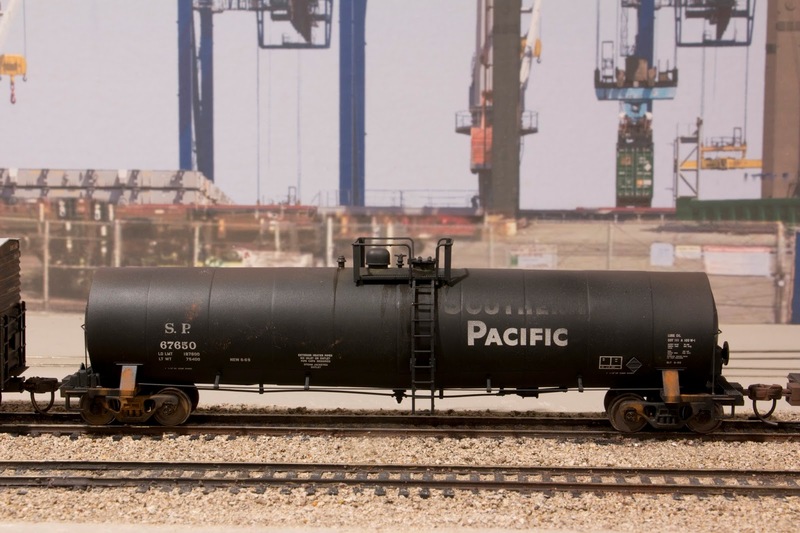 It also makes spotting the tank cars at the future loading platforms much easier as they are in the foreground. The second photo shows the new arrangement. I plan to kit bash the Medussa Cement into the storage silos at US Borax. The actual facility is 8 silos long with some doubled and some single. Turns out that 2 inch PVC pipe is nearly the same size as the Medussa silos, so I plan to use sections of 2 inch PVC pipe to expand the facility. Mock up of the pier shed. I made a foam core mock up of the pier shed to get a better feel for how much of the area should paved. I glued a print of the actual building to the front. The final model will use laser cut parts. Extent of paved areas in the region. One unusual aspect of the PoLA layout is the high fraction of layout area that is paved. In the prototype, nearly all the area I am modeling is paved with varying grades of concrete or asphalt. Therefore I plan to pave a lot of the layout too, but I am also going to have a little more ballasted track and some open dirt and grass fields for variety. I just like using my new static grass machine. Before I started adding the pavement pieces, I painted the track. I used Vallejo acrylic polyurethane surface primer. It sticks well to the track and is relatively nontoxic when spraying in an open room. Still, I wore my respirator, opened the window, and turned on the spray booth on the other side of the room. Before spraying I wiped the track with an alcohol soaked rag to clean model release and solder flux. I used a mix of black, gray and Israeli Desert Sand Gray, plus a shot of Vallejo Airbrush Flow Improver to the paint bowl. Then I test ran some trains to make sure electrical pickup was not compromised. There were a few spots where I needed to make adjustments to the track and add some additional feeders. A good portion of the painted track will be covered by pavement, but I painted it all anyway. I am using Taskboard to make the paved surfaces. It is easy to work, and has an slightly rough texture that looks like pavement when painted. I will cover this in more detail in the book. To power the PoLA layout with DCC I am using the Easy DCC system that powers the Aquia Line. I made a plug-in wiring harness that connects to a terminal block under Falmouth. When I power up the main DCC system for the Aquia Line, this harness will power the main bus lines under PoLA. If I just want to run the Aquia Line, I can disconnect the Cinch-Jones style plug and the PoLA circuits will be disconnected. With this setup I can not run PoLA on DCC without powering the Aquia Line, but I can run it as a DC layout with a DC power pack.. Since PoLA is a temporary layout and will only use one or two engines at a time I don't expect it to be too much of a problem. With the DCC connected, I got out my Fox Valley GP-60M and set it up. Since I hadn't read my DCC manuals in a few years I had to refresh my memory on how to program CVs. I converted my O scale programming track to an HO programing track using a piece of HO flex track and some alligator clips. With that connected, I set the decoder diesel address to 32 ( the last two digits of the GP-60M) and CV 29 to 2. Putting the loco on the track I was happy to see that it ran and sounded great.The diesel sounds are very different from my 19th century steamers. The short video shows the prime mover starting up and then pulling a car. The loco makes an odd low frequency whistling sound at idle. I wonder how long it will take to make that annoying sound unbearable? I have been alternating work on the Aquia Line, PoLA and other projects. The past few days I focused on PoLA. I was able to finish all the track laying and wiring in spite of having a nasty cold. I glued the track to the foam surface using yellow carpenter glue. I like how easy it is to use and the track can be popped off if you need to correct a mistake. I used a "high tech" jig to get the track spacing. i.e. a block of wood with slots filed in the appropriate spacing. I used 2.125 inches track spacing for most sidings, but the lead and the run- around siding are 2.5-inches apart because there will be a fence between them in a few places. I added four tracks in the staging yard. 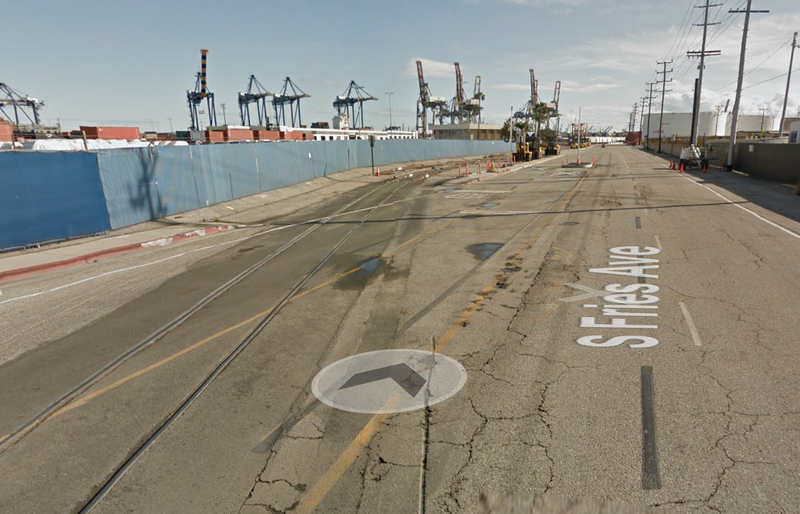 For this area I used Atlas code 83 track and turnouts. Since this is staging I made super simple switch stands, just a piece of 0.010 inch brass with two 0.052 inch holes drilled 0.110 inches apart. A brass 0.052 inch rod bent into an L shape holds the points in place. In the visible part of the layout I used MicroEngineering code 83 turnouts. They have nice spring loaded points. But I discovered that one can damage the mechanism if you put too much pressure when trying to slide on the rail joiners. After spending an hour repairing one of the turnouts, I was much more careful when sliding on the rail joiners. With all the track down I did some testing and tuning of the track. I did a simple op session switching cars. It was fun. The long run around makes things take longer. Since the staging tracks are short, trains have to double out of staging. Everything worked pretty well. The main trouble area is the tight curve that connects the staging tracks to the main layout. It passes under the stair landing with barely enough clearance. The curve has a radius about 19.25 inches. 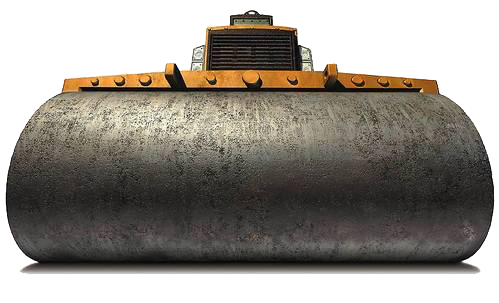 Most equipment makes it through OK, but the UTI brass DODX 40000 series flat car cannot handle a radius that tight, its 6-axle trucks can not rotate enough. 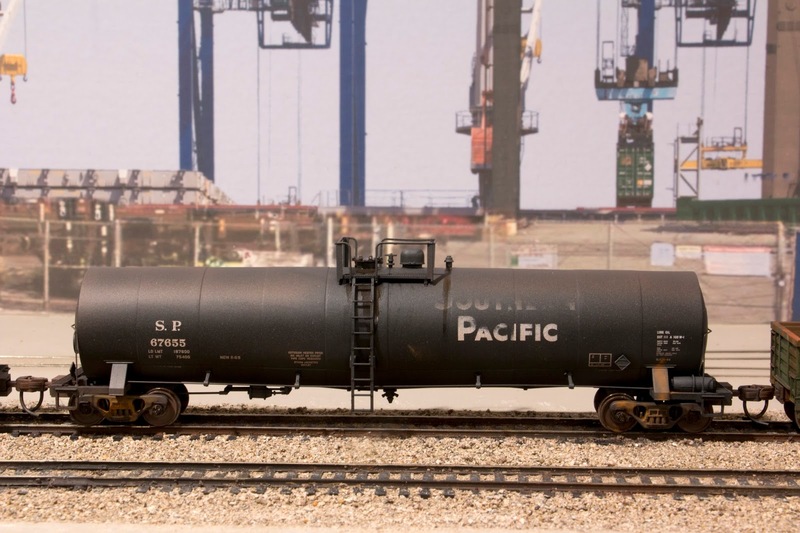 I also noted that when backing 89-foot flat cars the inner corners touch on the curve. I'll have to add a rule to prohibit backing 89-t flat cars through that curve. 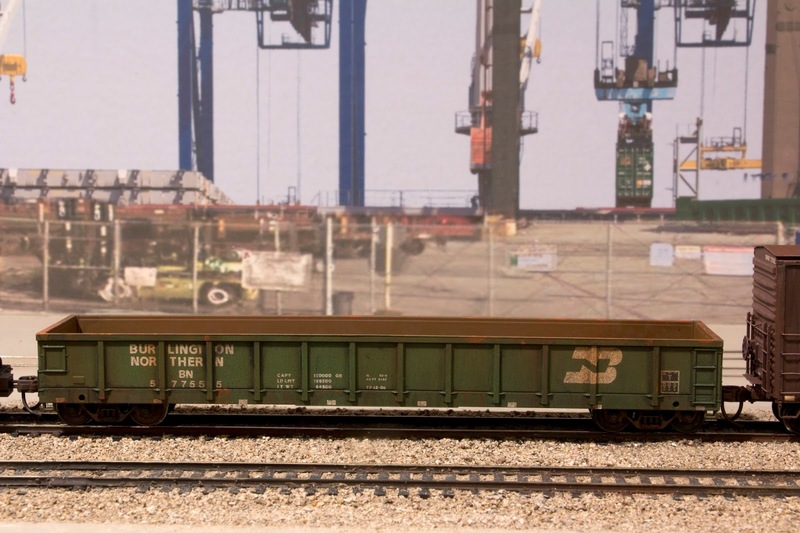 Also, one of my 89-ft flat cars has a high coupler that doesn't want to stay coupled. I need to sort that out. Otherwise the rest of the cars are running well. The difficult experience with running tracks under the landing convinces me that in future layouts I will not do it again. As I was working on PoLA, I was think ahead to expanding the Aquia Line to this area. I am really looking forward to getting started on the Aquia Line Harbor and eventual expansion. I have two Pacific Harbor Line engines. 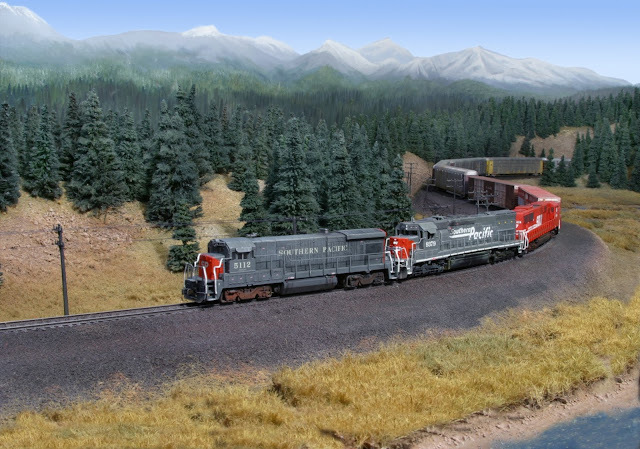 a SD40 and GENSET. Both are DC. I also have two DCC equipped engines, a GP-60M and GP-60B s thanks to Matt Gaudanski at Fox Valley Models. They are gorgeous models. I plan to add a connection to the Aquia Line's DCC system, so PoLA can run DCC. Eventually I plan to convert the PHL engines to DCC sound. This week I also took delivery of some shorter rails for my Rhino slider. These work much better in the confined space of the Aquia Line. The slider system is rock solid and smooth as silk. I am looking forward to shooting more video with it. layout in my previous house. It was the best of times, it was the worst of times. News that Andy Sperandeo passed away today was unwelcome. 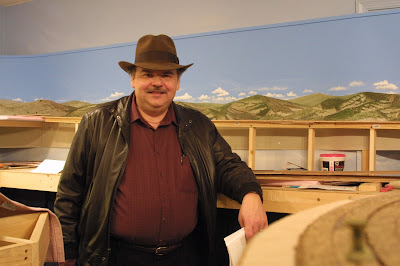 Andy was the editor of Model Railroader for many years. He was there when I got my start in model railroad writing. I have to thank him for the chance. In addition to working with Andy while writing for Kalmbach, I got to know Andy a bit over the years as we frequently met at operation sessions around the United States. He was warm and funny guy, in spite of his serious and quiet demeanor. We were both former Army officers and I recall spending several hours in a car with him trading Army stories. He visited my layouts at least twice that I recall, once to see the progress on a DRGW Soldier Summit Project layout and once to see the Aquia Line. His own home layout was never finished, but it was characterized by impeccable and flawless track work, and what I consider a brilliant design. He will be missed. While looking back at my photos today and remembering Andy, I noticed some of the DRWG Tennessee Pass layout I was building in my current basement. The Soldier Summit layout was in my previous house. I thought I would post some to show how far things have come in my current basement and to perhaps cheer things up a bit. The current location of Clairborne Creek to Falmouth. The backdrop was my favorite aspect of the layout.